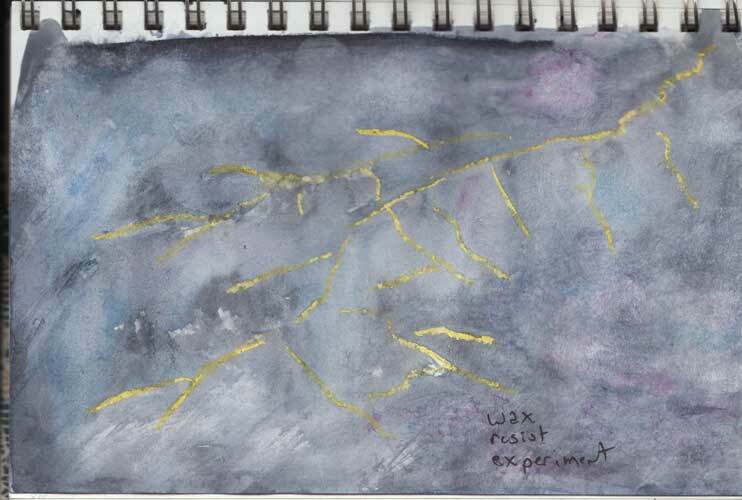 It is storming and the lightening flashes had me breaking out my crayons to try experimenting with wax resist. From the sorry state of my experiments, I think I need to do more experimenting, LOL! !